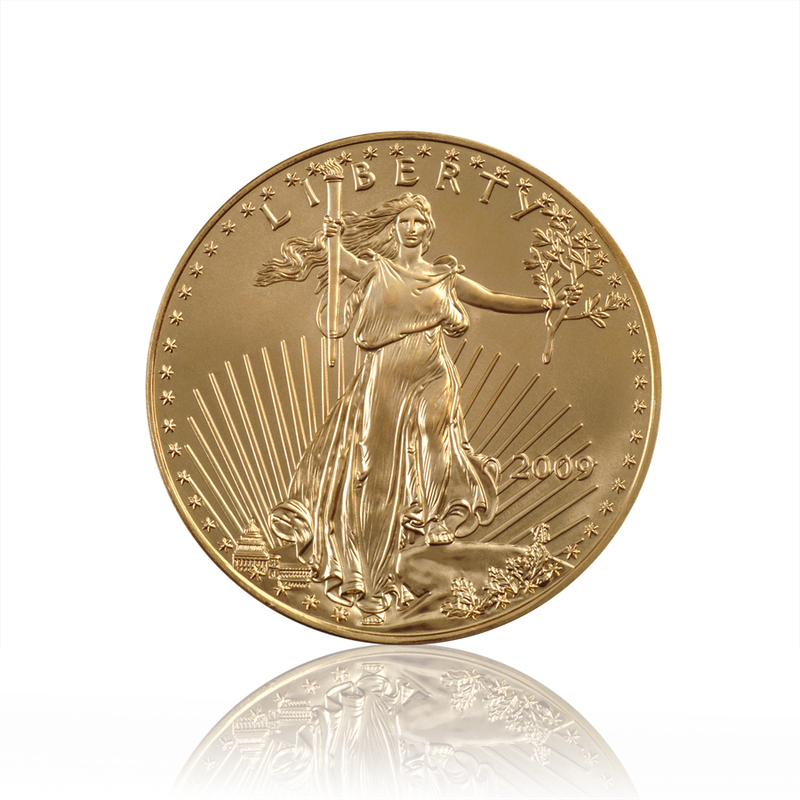 Offered in 1/10oz, 1/4oz, 1/2oz and 1oz denominations, these coins are guaranteed by the U.S. government to contain the stated amount of actual gold weight in troy ounces. By law, the gold must come from sources in the USA, alloyed with 3% silver and 5.33% copper to produce a more wear-resistant coin, producing a specific alloy that is also referred to as crown gold. The actual gold fraction ("fineness") is .9167 or (22 karat). It is authorized by the United States Congress and is backed by the United States Mint for weight and content.